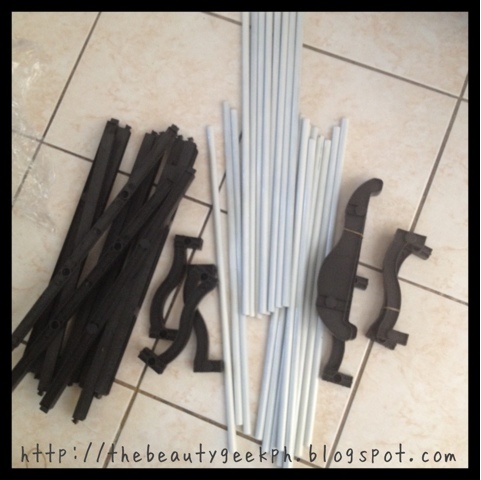 I purchased this shoe rack a couple of months ago from Ensogo. It was delivered 2 weeks late. I got it last Sunday and I assembled it now to see if it was really worth the purchase. The rack can store up to 30 pairs of shoes. I used it to store my collection of slippers because we don't like the idea of having our shoes exposed to dust (especially the suede ones). It saves up floor space as it can hold up to 30 pairs of shoes. 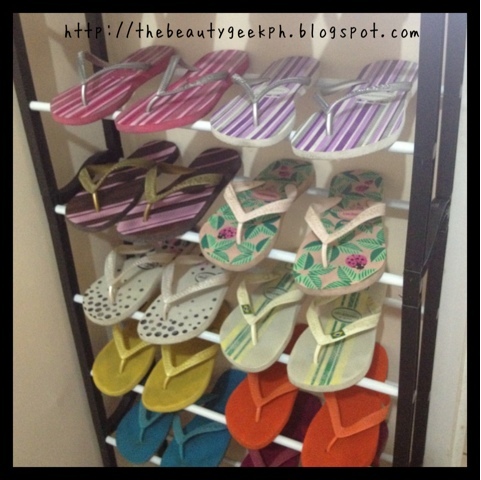 I find it too expensive considering the material of the shoe rack is made of polymer plastic only. It is not sturdy enough to hold that much shoes. Although you can put the light ones here like your slippers and flats. It is not stable. It would be one of those pieces of furniture that would topple down during earthquakes. But to make it stable, you have to put heavy shoes on the bottom. The width is too small. Bulky shoes won't fit here. No. I got two sets of this rack and I was really disappointed when it was delivered. First, it didn't came on time. Second, it didn't looked as good as it was on the pictures. Lastly, I think I could buy something similar somewhere that would cost P250 only. Not so amazing after all. 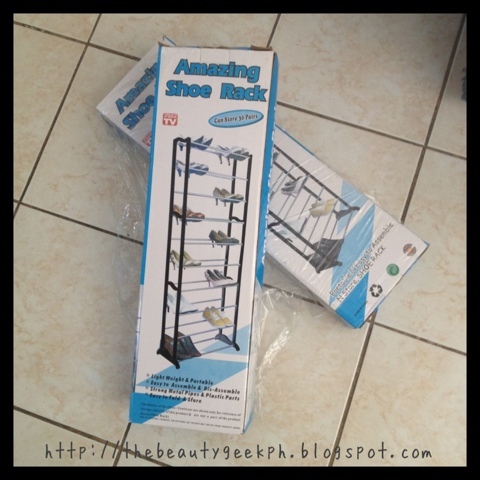 Ive been looking for a well-priced shoe rack that wont break the bank tagal na! Sayang to - mukhang may potential pa naman! Oh well - do update us if youve found a better one :) Im on the lookout too! ina-assemble palang naputol na. A WASTE of money.